Revelations a neo-Nazi gang was able to commit racists murders unhindered for a decade – and Germany’s seeming indifference to the crimes – has shaken the country’s minority communities. “In the last few days the discussion has been very technical,” Kenan Kolat, head of a leading Turkish community organization, told The Local this week. He said the country’s politicians, media and the police at first seemed more interested in the damage to Germany’s reputation than those murdered and their families. “Society needs to have a discussion on the issue of racism in light of what’s happened,” Kolat said. 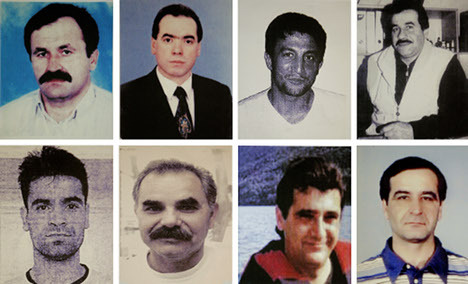 In recent days, a sense of anger and frustration has permeated the Turkish-German and other minority communities in the corner cafes, squares and on street corners where they’ve discussed the NSU murders. Many are asking themselves: How could this have been allowed to happen in a country like Germany? And why didn’t anyone seem to care? Bahir Asker, a 34-year-old Turkish construction worker, said he’s told his wife and 10-year-old son to be particularly careful while even doing basic errands like going to the store, lest they be targeted by far-right extremists. “I feel unsafe, I don’t know what the government has been doing to protect my family or me,” said Asker, who immigrated to Germany as a teenager, outside a metro station in Germany’s multicultural Neukölln neighbourhood.